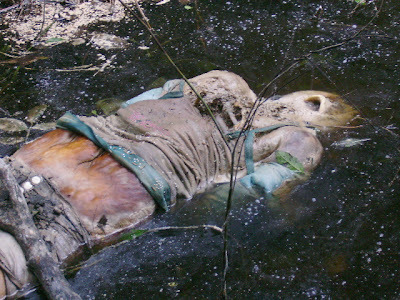 The body of a woman found in a river, in a state of putrefaction, with her hands tied. The victim appears to have died from blunt force trauma before being thrown into the muddy water. The 30-year-old victim was beaten all over her body and found just 30m away from three males, also killed. 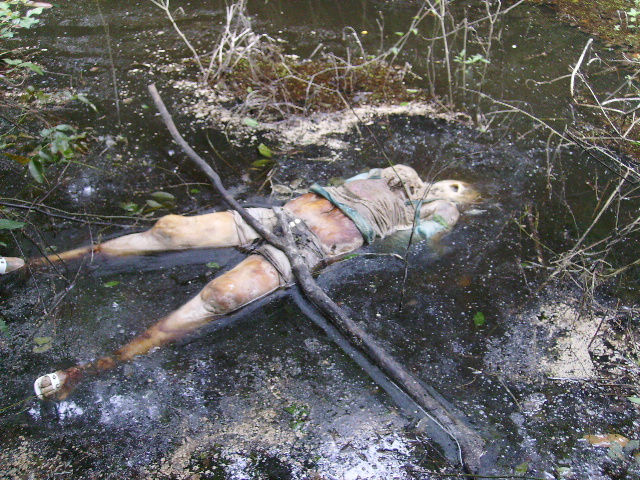 Putrefaction or decomposition is the final stage following death, produced mainly by the action of bacterial enzymes, mostly anaerobic organisms derived from the bowel. Other enzymes are derived from fungi, such as Penicillium and Aspergillus and sometimes from insects, which may be mature or in larval stage. Bacteria produce a large variety of enzymes and these breakdown the various tissues of the body. 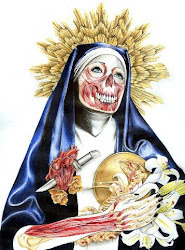 The characteristic features of putrefaction are : (1) changes in the colour of the tissues, (2) the evolution of gases in the tissues, and (3) the liquefaction of tissues. The first external sign of putrefaction in a body lying in air is usually a greenish discolouration of the skin over the region of the caecum. The color appears in 12-18 hours in summer and one to two days in winter.